Buy your official Machu Picchu ticket. It is now easy, affordable and secure. Simply choose the date of your Machu Picchu visit, check availability and make your reservation. Your will receive authentic machu picchu passes issued by the Peruvian government within minutes. Print your machu picchu tickets and bring with you at the entrance. The Peruvian government restricts the number of visitors to Machu Picchu. Therefore, the first step in planning your trip to Machu Picchu is to check the availability of Machu Picchu tickets in real time and make sure you can actually visit Machu Picchu on the date(s) you want. Our website offers real time ticket Machu Picchu passes availability allowing you to purchase your Machu Picchu tickets with confidence. National Geographic rates the Inca Trail as the top 25 hikes in the world. And, according to Time magazine, Peru's Inca Trail to Machu Picchu is perhaps the world's greatest hike because it combines the best of both types of travel: a four-to-five day walk to the spectacular lost city of Machu Picchu that goes through snowcapped Andes Mountains and then the Amazon jungle; creating some of the world's most dramatic and beautiful scenery and terrain. 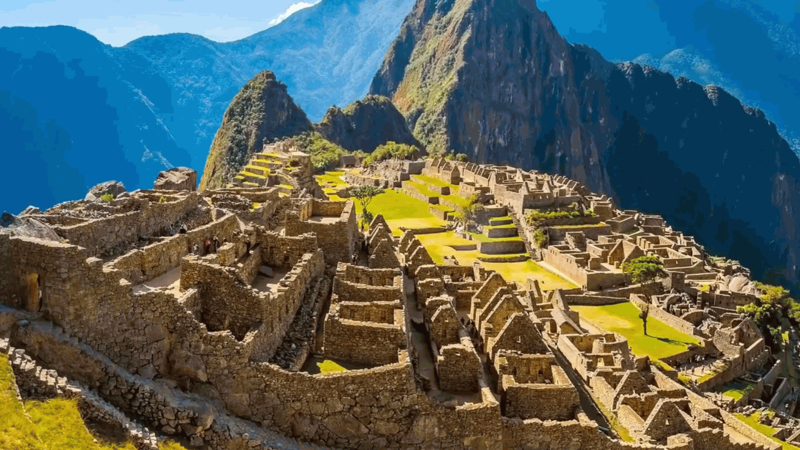 Many experts believe that the Incas, the advanced South American civilization trekked this 27-mile trail five centuries ago as a holy pilgrimage that prepared visitors to enter the sacred citadel of Machu Picchu. After trekking the Inca Trail, you will also feel the same mystic experience. Machu Picchu tickets are included in all of our Inca Trail trek tours. Machu Picchu can also be reached via train where visitors comfortably reach the town of Machu Pueblo (also known as Aguas Calientes), the town closest to the enigmatic 'Lost City of Machu Picchu'. Our Machu Picchu train ticket system allows you to search in real time all of the different train routes available. You will also see all of the Machu Picchu train pricing information. The reason Machu Picchu is known as the Lost City of the Incas is because Machu Picchu is located high up on a mountain top above the Vilcabamba Valley. Unless you plan on hiking up to Machu Picchu (which is possible), you are going to need to take a shuttle bus to get there. On this website, you can easily purchase your Machu Picchu bus tickets and avoid the long lines at the Machu Picchu bus ticket counter. If you are visiting Machu Picchu, you will most likely arrive and stay in the City of Cusco. We offer airport to hotel transfers as well as pick up from your hotel to the train stations such as Poroy, Ollantaytambo, Aguas Calientes or the top tourist attractions so that you don't have to try to figure out transportation in the last minute. We also offer transportation from Cusco to Hidroelectrica, the most economic way to get to Machu Picchu. Inti Raymi, the Festival of the Sun, is celebrated in Cusco every year on the 24th of June. It is the most important festival of the Inca empire to celebrate the winter solstice; the beginning of the Sun's New Year. The solstice begins on the 21st of June, but according to a sundial used by the Incas, the sun stays some days in the same place before rising on the 24th of June. This day is acknowledged as the New Year: Inti Raymi! Buying Inti Raymi tickets for 2019 ahead of time to avoid missing on this amazing event!